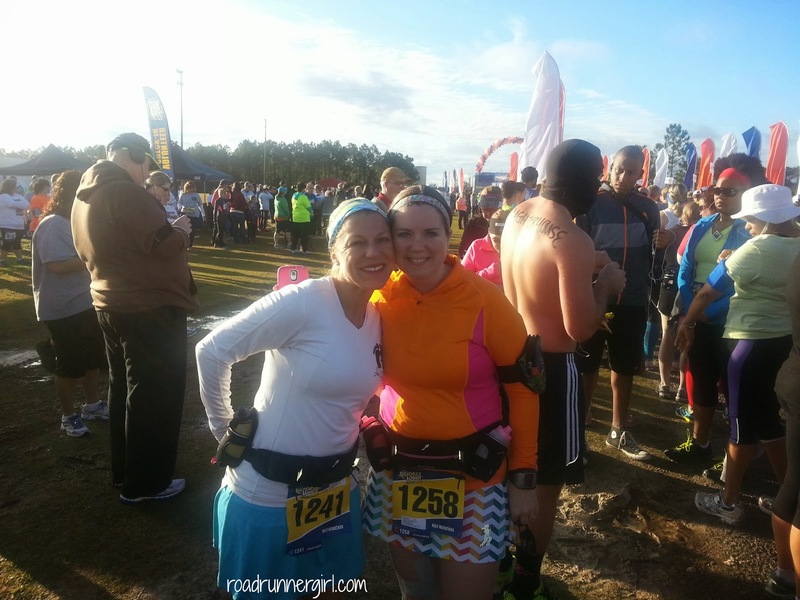 Road Runner Girl: The Biggest Loser RunWalk PCB Half Marathon Recap!!! 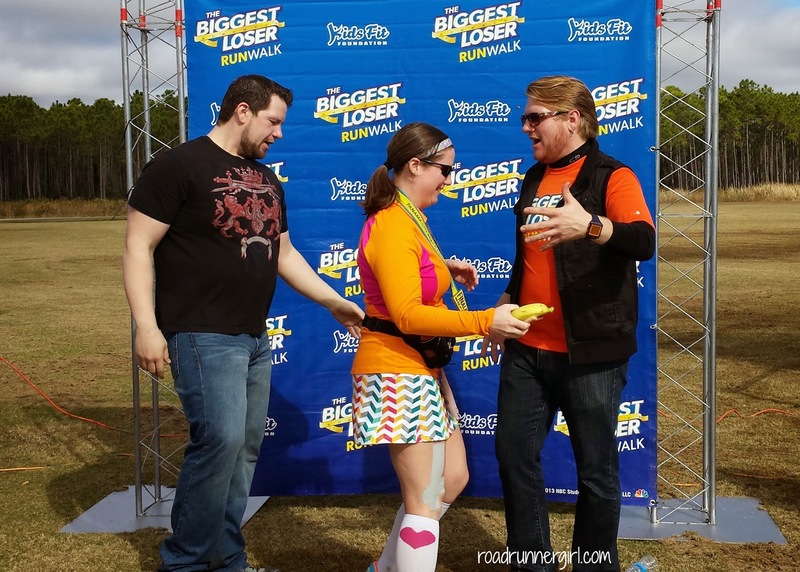 The Biggest Loser RunWalk PCB Half Marathon Recap!!! Make sure to read all about the expo HERE! This race didn't start until 8:00. That is a much later start time than I am used. But I was happy to get to sleep in some! We stayed at Paige's friend's house for the night and the drive was 45 minutes to get to the start line (that was fine with me though since I didn't have to pay for a hotel room). We got to the race around 7:25 and headed to the bathroom line. 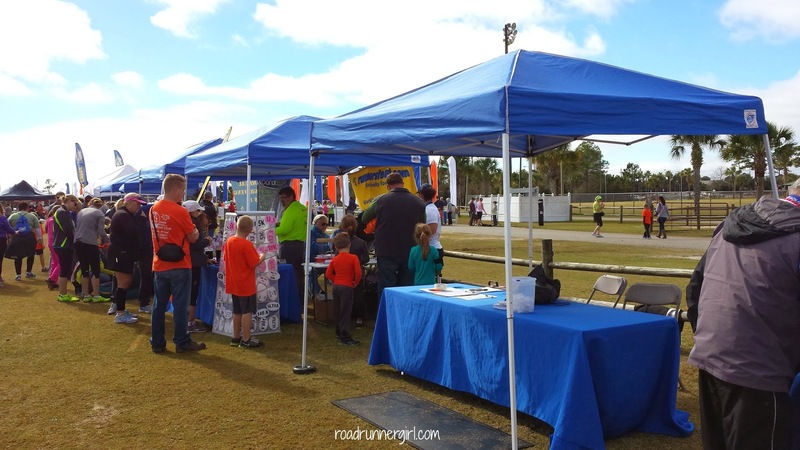 This race was at Frank Brown Park (a sports complex) so we were able to use real bathrooms instead of Porta Potties! It was a little chilly at start time...it was in the 50's. But I knew once I got started running I would warm up. We headed to the start area and took a few pictures. Dan Evans from Season 8 sang The National Anthem and he was awesome! Finally it was time for the race to start! And to my surprise...they started the race in waves! I thought this was awesome so that the route didn't get so congested. 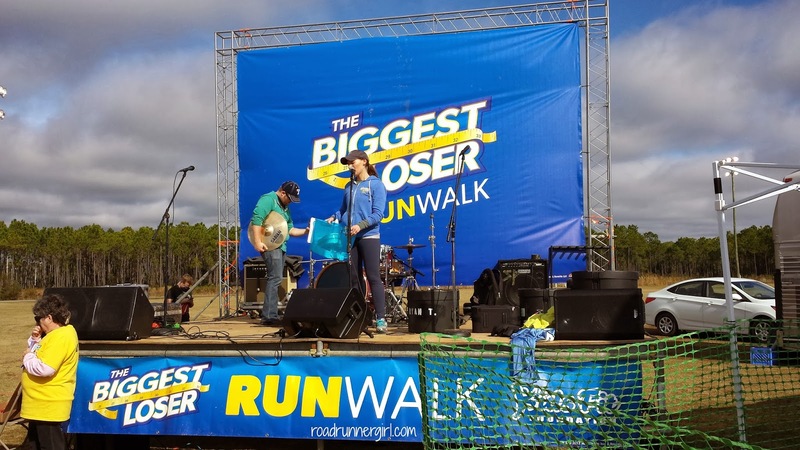 We kept moving up towards the start line while Dan and Jackie (Season 5), Vinny Hickerson (Season 12) and Danny Cahill (Season 8) kept us all entertained on the stage! And then it was our turn! After an awesome countdown by Dan...we were off!!! The first part of the route was right there in the park. We could hear the other waves starting and the former contestants on the stage so that was pretty awesome! 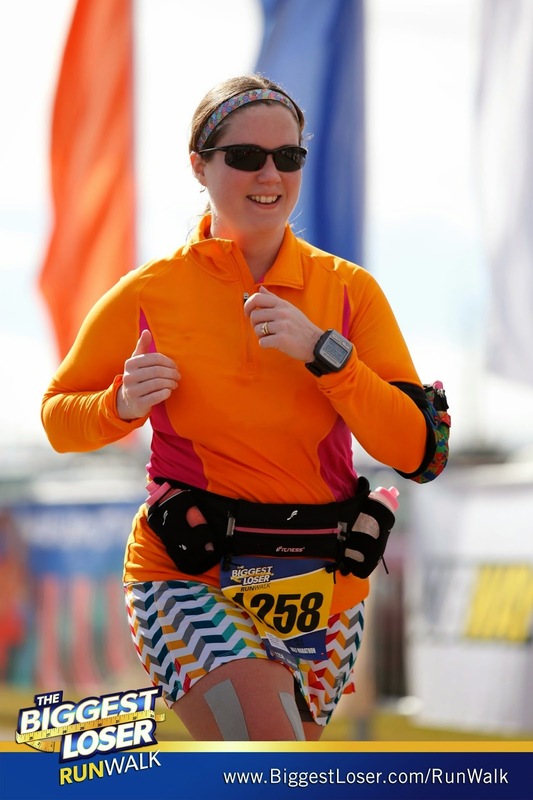 Another plus to this race...free downloadable race pictures!!! Y'all KNOW that makes this girl very happy!!! 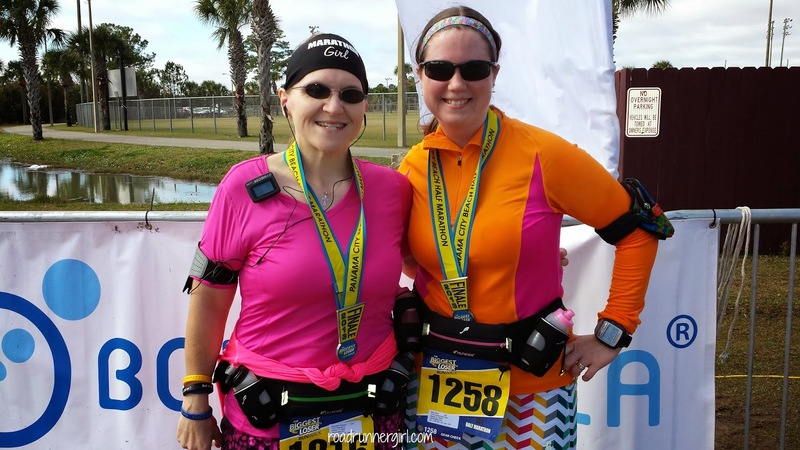 A little after the first mile we turned and headed on a paved trail. The energy was high at this point. Everyone was really excited! 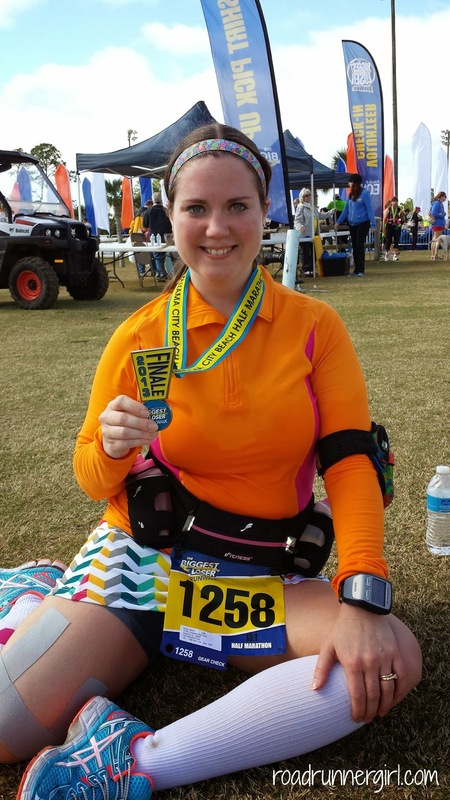 I was feeling pretty good but my legs were not warmed up. Paige and I agreed to start the race slower than normal. We both always make the mistake and start out too fast. 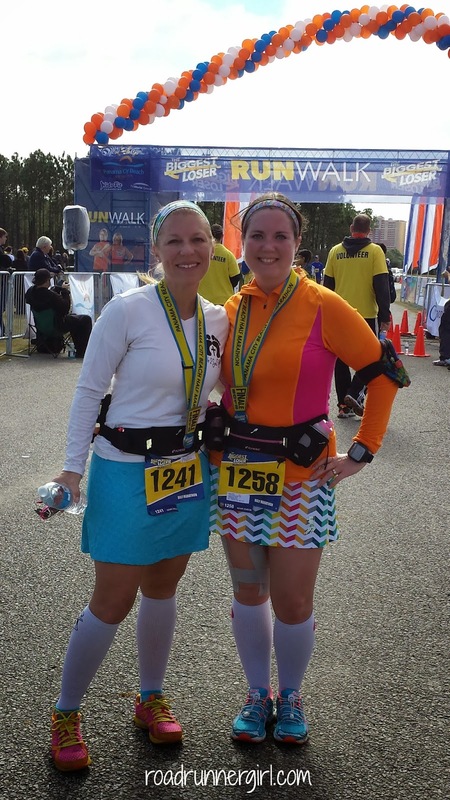 So we kept to the slower pace and felt great! 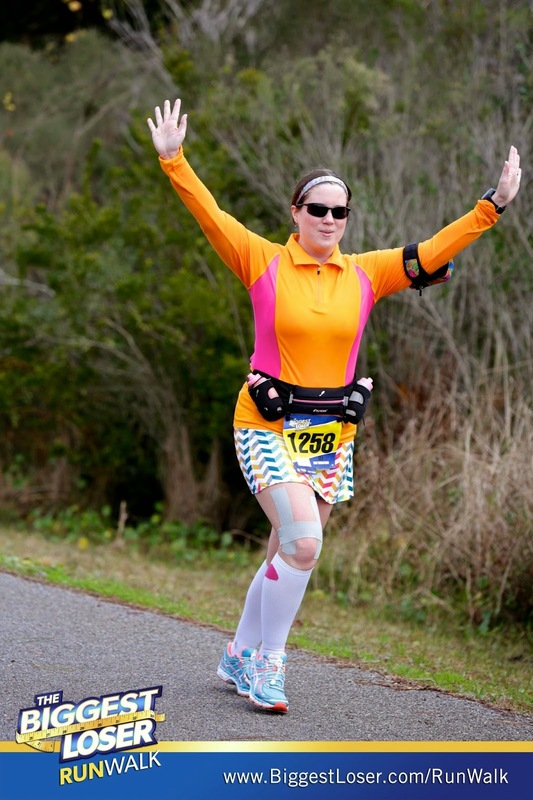 About mile 1.5 we heard music and someone talking on a microphone. I immediately recognized the voice...it was Jeff from Season 14! Sure enough when we got closer we saw a blue tent and Jeff and Francie cheering us on! It was great!!! Shortly after that we turned left on the trail and hit mile 2. It was a little tough seeing the mile marker signs because this was an out and back course so the signs also had later miles on them. So mile 2 also said mile 11! Yikes! Shortly after the mile 2 mark we heard music. A live band was playing! 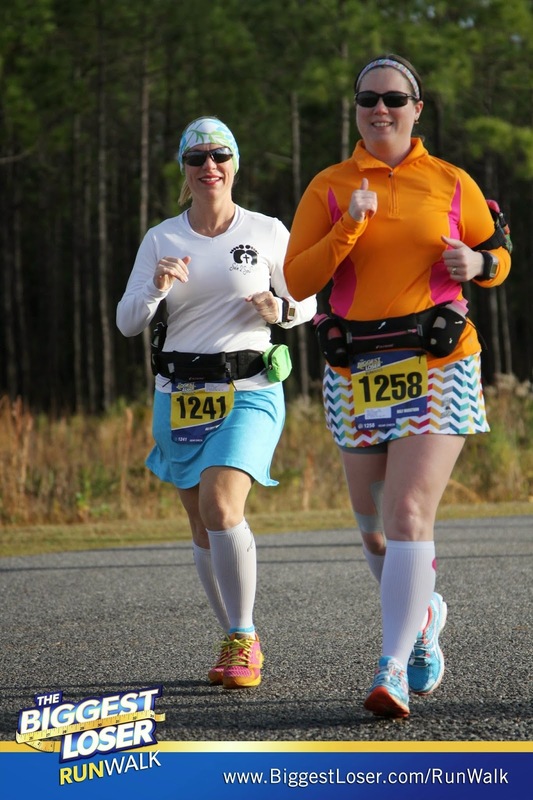 We saw them and then the trail turned right onto SR 79 where we would run until we turned around a little after mile 6. I will say that the water stops were awesome! The volunteers were amazing! They cheered us on! And they offered us water and Gatorade. The cups they used were great! They weren't too flimsy but you could still bend them to sip the water while running. When we reached mile 4 we were greeted with an arch of balloons! 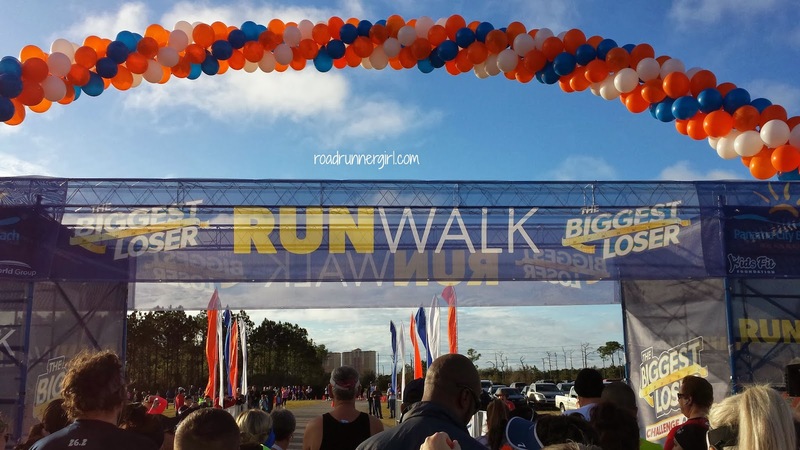 It was a great motivator and tons of the runners jumped up to touch the balloons when they ran under it! 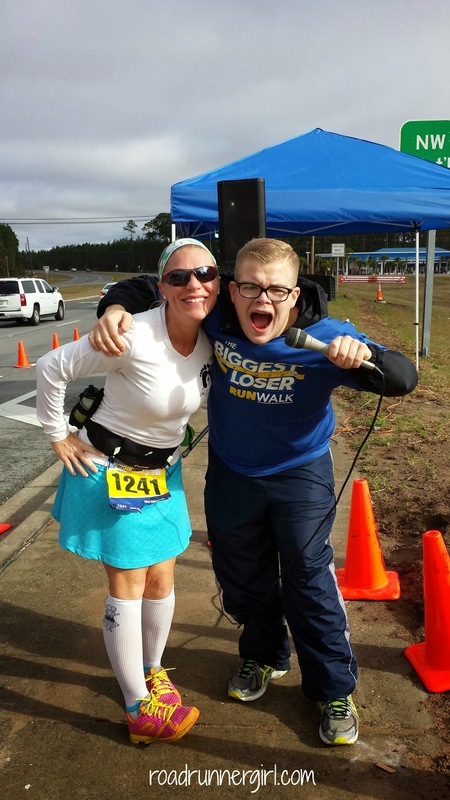 One of the next water stops had Pam from Season 14 there cheering us on! She is awesome! She is super funny! You may remember her 9 pound weight loss "dance" on the show! And she made the saying "Damn Girl" popular! Love her! There was also another balloon arch around mile 5 I think. I thought the balloons were a great thing to see on an otherwise pretty boring course! We hit mile 6 at the foot of a bridge! Are you kidding me? A bridge in the halfway mark of the race? That meant we had to go over that bridge and then turn around at the bottom and go over it again! That became me and Paige's first walk break...up that huge hill on the bridge. We stopped at the top and took a few pictures. The view was beautiful!!! 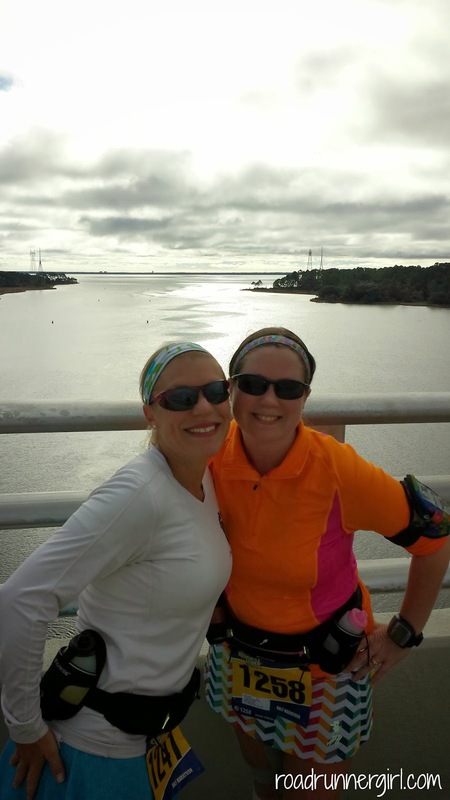 We were almost at the bottom of the bridge when we could hear someone talking and cheering us on. It was Jackson from Season 14! He was at the turn around point! And he was hilarious! Of course I needed a picture with him! Seeing Jackson was just the motivation we needed to go over that bridge again! After the bridge was when my troubles began. I had to pee so bad! And I never have to pee! Paige was so happy because normally I have to stop and wait on her to go to the bathroom. She was glad I needed to go lol! 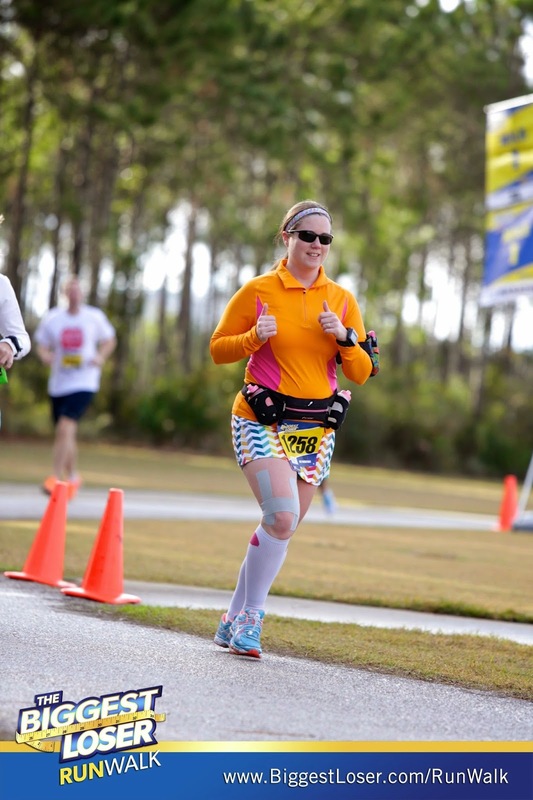 The thing is that I went pee and felt much better...until about a half a mile later. Then I needed to do the other thing!!! Are you kidding me??? 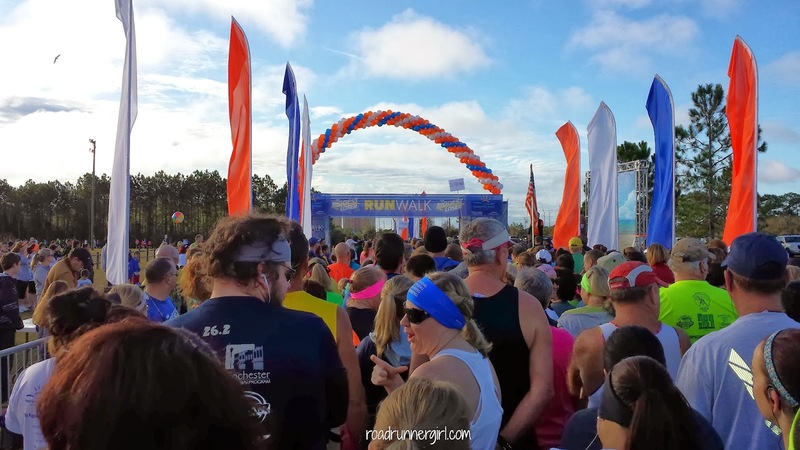 So we ran and ran...and finally saw the next water stop with a porta potty. 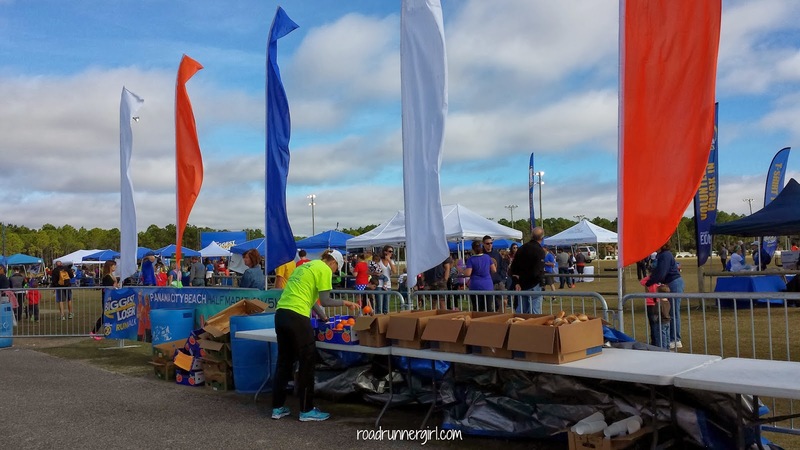 This was the water stop where Pam was cheering. 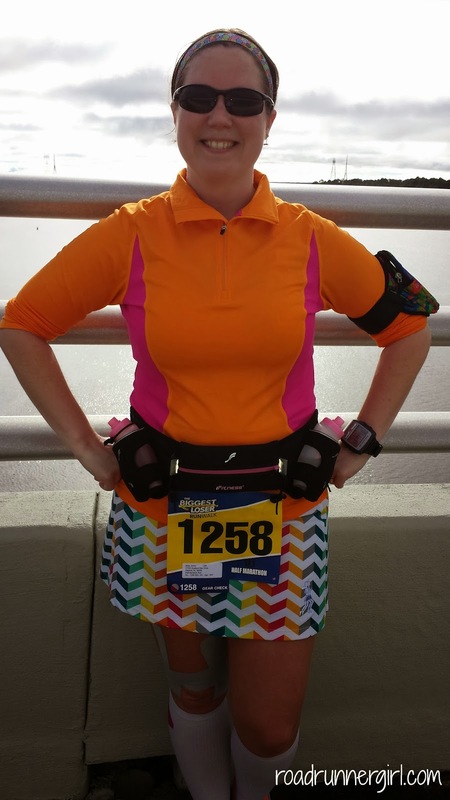 She told me she loved my skirt and to keep running. I proceeded to tell her I was running to the porta potty! Lol! I had to go! But guess what? I COULDN'T GO!!! What??????? So we kept running and taking a few walk breaks here and there. And luckily I no longer had to go. Whew! At one of the water stops a man gave us a kazoo and a top hat! And no..I don't know what I was doing in this picture lol! Finally we turned back onto the trail that would lead us back to the sports complex...and to the finish line! The toughest part of this race....a little after we hit the 12 mile mark we could SEE the finish line! If we turned to the right the finish line was just steps away! 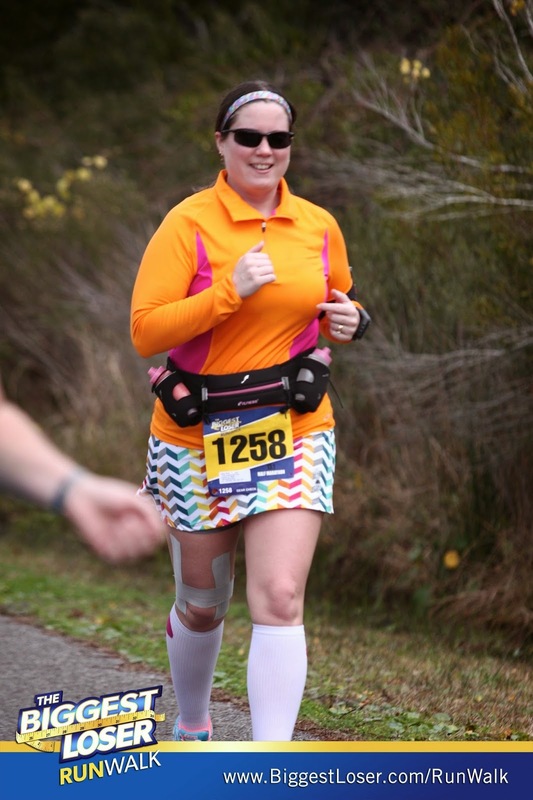 But we had to turn left and go around a loop and go through the finish line from the opposite side! It was very tough mentally. But I put on my game face and I persevered. 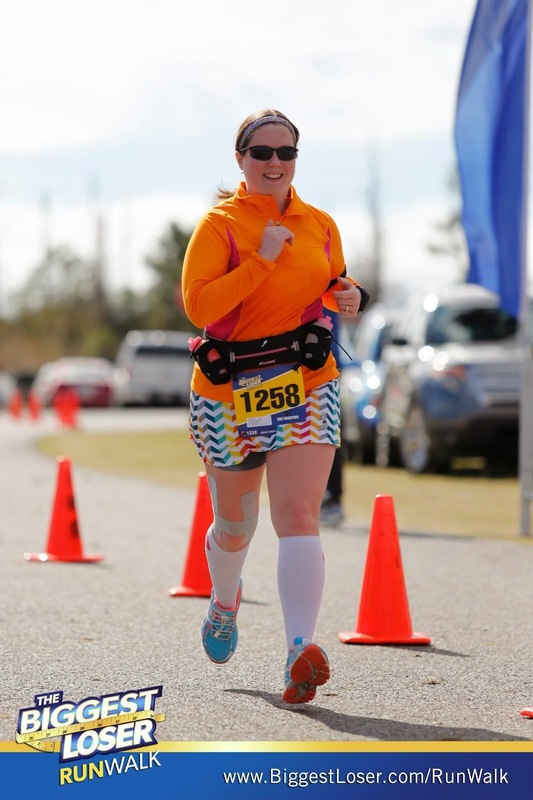 I even sprinted towards that finish line! 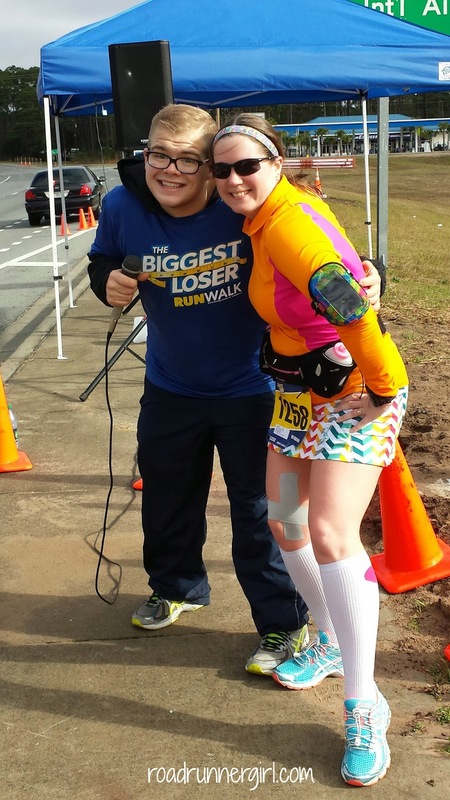 Shortly after I crossed the finish line, Shannon from Girls Got Sole crossed! We ran a little ways together on the course. I was so proud of her! This race was a PR for her! Shortly after that my Paigey crossed! We got separated about a half a mile from the finish line. I was happy to see her cross! 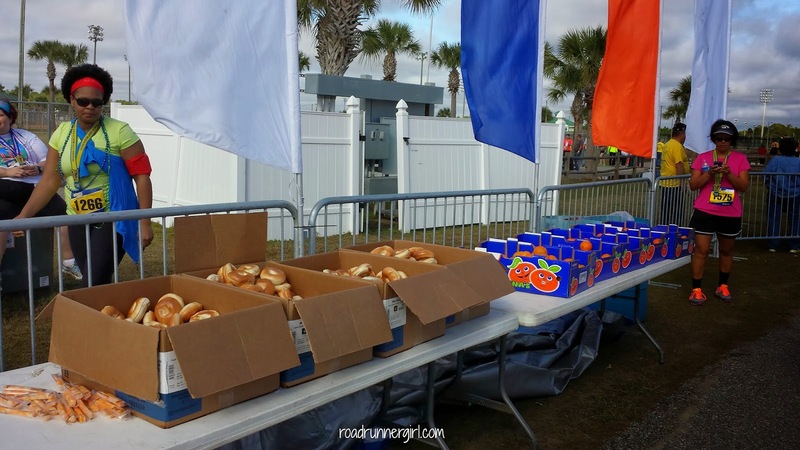 The finish line area had lots of refueling options. I was really impressed! 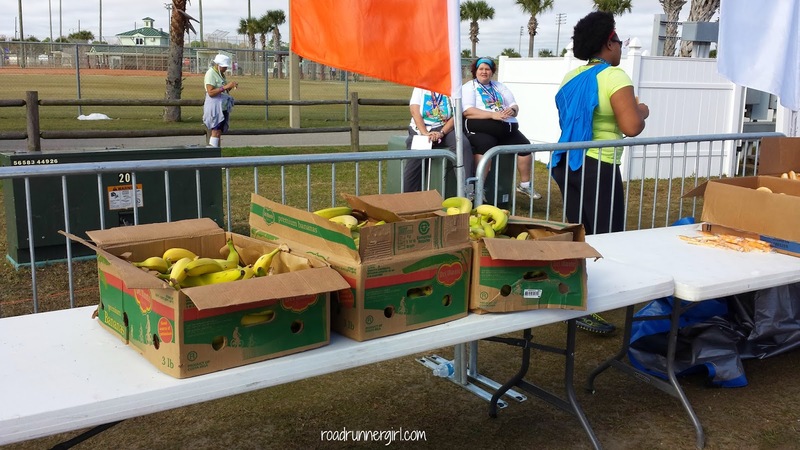 They had bananas, oranges, cheese sticks, and bagels. And of course they had bottled water too! We grabbed some food and went and sat down in the grass and listened to Vinny from Season 12 and his band play! They were really good! Dan from Season 5 even got up there and sang with him! Next they did the race awards. Of course I didn't place lol! 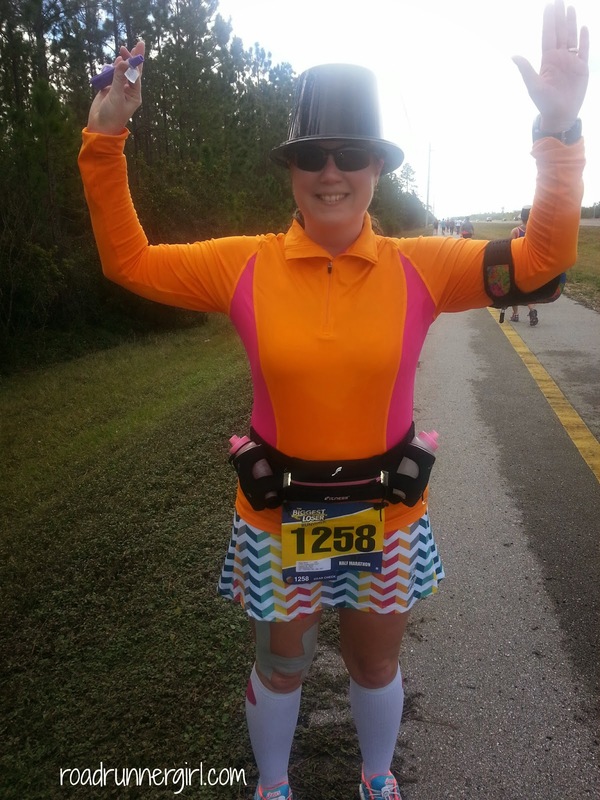 This was one of my slowest half marathons (2:53:56) but I didn't care because I had a BLAST and I felt great! I even got to meet Dan and Vinny! It was pretty funny because as soon as I went up to them to take a picture I said something about being sorry that I was so sweaty. Vinny said something like that he never sweats, cries, pukes, etc. I came back with a "Yes I never saw you do any of that on national television!" It was funny! Finally it was time for me and Paige to leave. We started walking back to our car and could see some people still finishing the race. It was very inspirational! 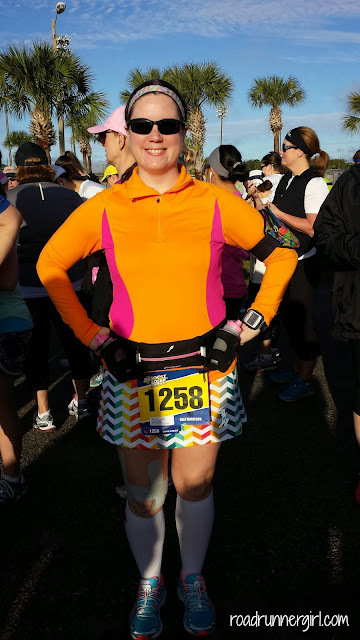 A lot of people walked the half marathon and even though I didn't know them I was soooo proud of them! Remember I said we stayed the night at one of Paige's friend's house? 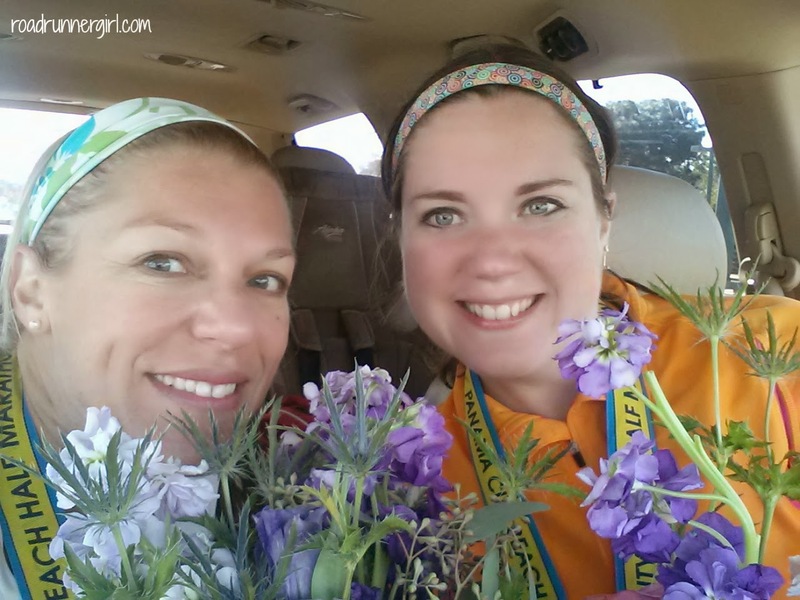 Well she made us both flower bouquets to congratulate us on our race! It was so sweet!!! The flowers were beautiful! 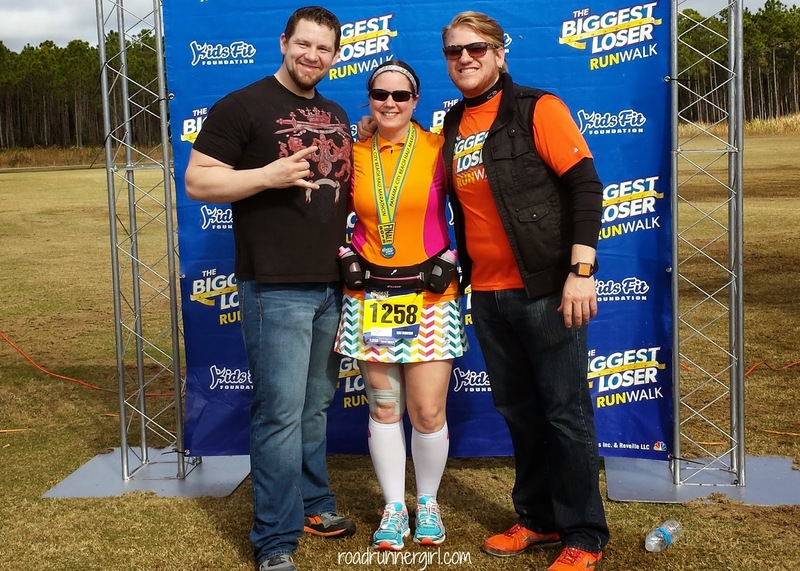 This race was a blast!!! I LOVED meeting and interacting with former contestants! I LOVED the crowd support on the route from the volunteers and former contestants! There isn't one bad thing I can say about this race. It was well put on and they knew exactly what they were doing. 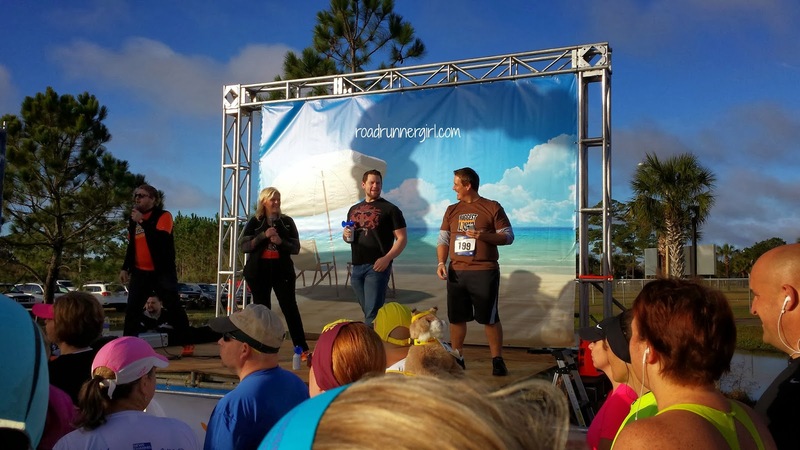 And my favorite part was how everyone cheered on every single person that was participating! It was awesome! 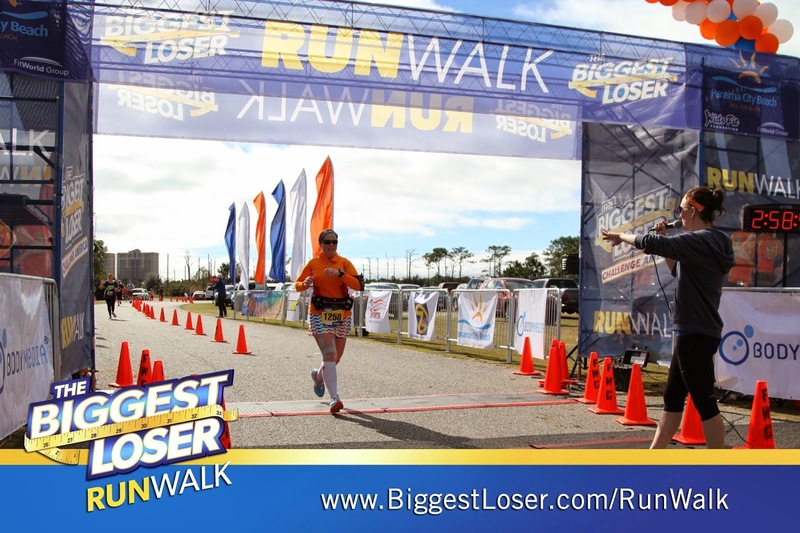 I'm even more excited now to run The Biggest Loser RunWalk Half Marathon in Mobile, AL in February! That race is in MY neck of the woods! And I would LOVE it if you would run it with me! 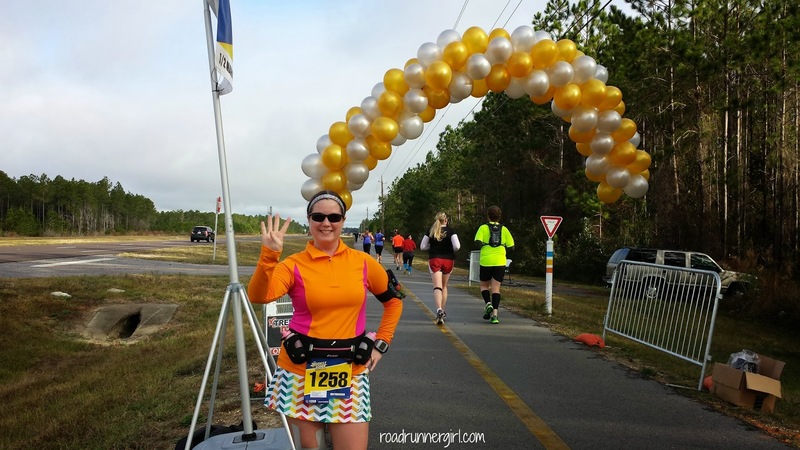 There is a half marathon and a 5K...something for everyone! Be sure to sign up today!!! 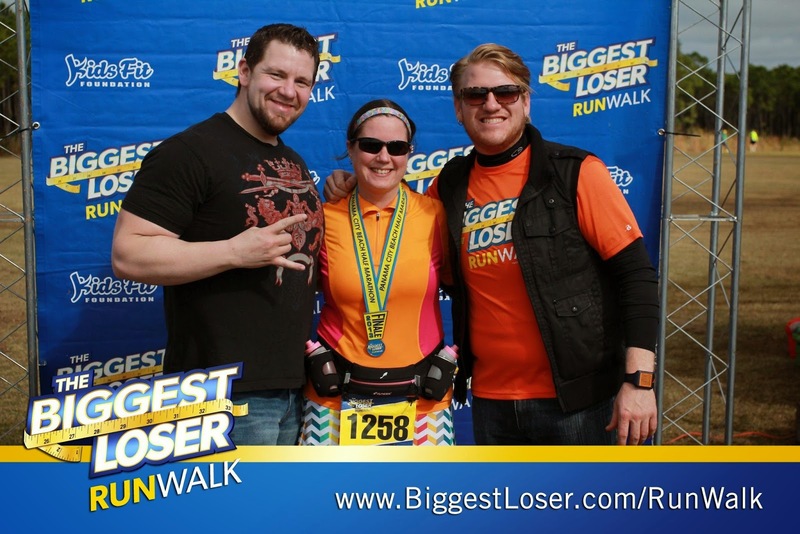 QOTD: Have you ever ran The Biggest Loser RunWalk?